We are excited to continue with tradition and announce the 11th Annual Buford Car Truck and Motorcycle Show. This is one of the premier shows in the southeast. Many will come from great distances to take place in the Lamar Stephens Car show. Lamar was a national competitor in the car remodeling industry and his work has been highly regarded across the country. This show pays tribute to him and his legacy. The proceeds of this car show go directly to assist the students of Buford Church of God and their journeys into local and world missions. 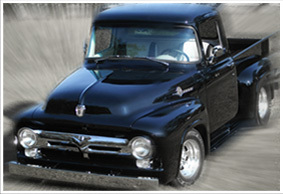 Having become traditional, like SEMA, the Buford Show is proud to exhibit numerous classic cars, trucks and motorcycles. Starting 2000, it’s been held on yearly basis, and has attracted thousands of participants and attendants. And it’s pleasure to note, that we keep seeing new faces every time we gather. Which means, that new and new people join us in reaching our big goal. This all has became possible with the help of such companies, as Race Ramps, CARiD and American Muscle Cars. Our Mission is to enable young people to seek out their potential. To teach them to be leaders in the community, their church, their family and the world. Through the vision of Lamar Stephens we have been fortunate to raise the funds to reach thousands of children in Romania, Jamaica, Trinidad and Brazil. Next summer, our students plan on ministering in the country of Haiti. Your participation in The Buford Car Show literally helps people across the globe.